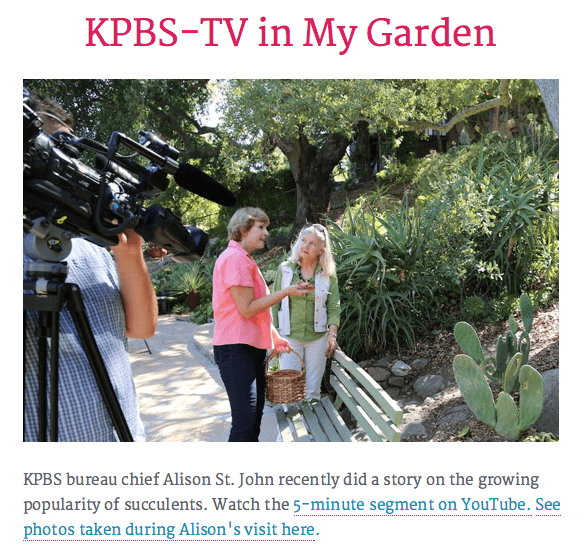 When profiled by Garden Design magazine, I took the opportunity to come out as a cactus lover. Well, I had to. They asked about trends in the world of succulents. I believe my progression is fairly typical. 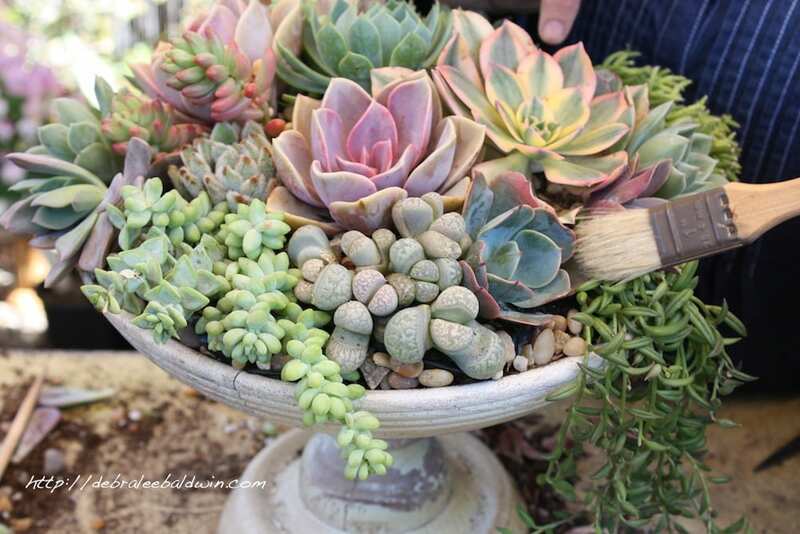 Most of us start out loving succulents that look like fleshy roses—echeverias, graptoverias and the like. 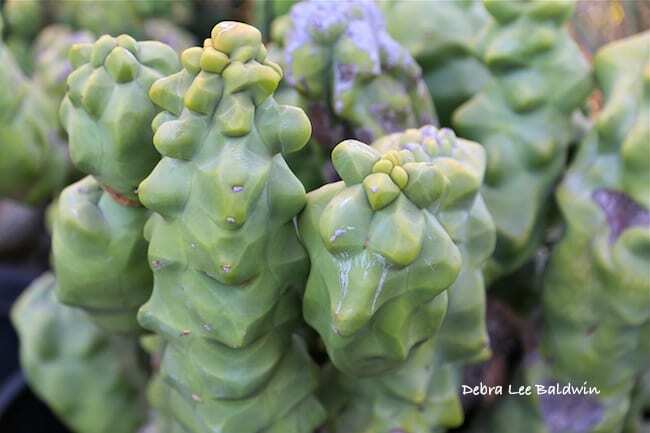 As people gain appreciation for the lines, textures and shapes of all succulents, they inevitably arrive at those that exhibit elegant simplicity at its best—never mind that they have spines (in fact, sometimes because they do). Note I’m not talking about common prickly pear—the plant most of us have bad childhood memories of. (Ow!) There are SO many other kinds of cacti. The article’s portrait shot (above right) shows me surrounded by columnar cacti with spines that glow yellow-orange in the late-afternoon sun. Yep, I wore turquoise on purpose. Herewith, I offer a dozen reasons why cacti are the coming thing…in waterwise gardens and in Garden Design. In a word: symmetry. Mammillarias in particular have it nailed. They offer astonishing textures. I mean, c’mon, fur? Opuntia sp. Endearingly, cacti don’t take themselves too seriously. Echinocactus pectinatus rubrispinus. And brains (Mammillaria elongata crest)…. A few are in touch with their feminine side (roses at left, opuntia at right). More than a few are darn cute. Each of these thimble cacti is less than an inch in diameter. But here’s what I like best about cacti: How they’re haloed by the sun. The spinier the better. Are you a formerly closeted cactus fancier too? If there’s enough of us, I may organize a pride march. View how I assembled the container garden shown in the article.